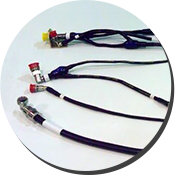 Established in 1965, Vermillion Inc. is a leader in custom cable solutions for the military and aerospace industries. 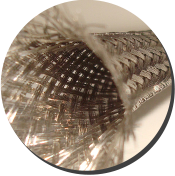 Most effective Secure Voice shielding material available. 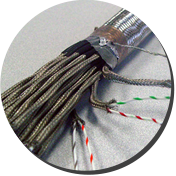 Custom designed and engineered cable assemblies built to any configuration. Engineering and design consultation resulting in the most effective application. Certified to ISO 9001 since 1996. Awarded the “Kansas Award for Excellence” in 1996, 1997 and 1998. Complete custom design capability. Excellent resource for prototypes and initial production orders.